an outstanding probation violation warrant. 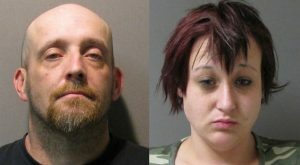 Both were found in possession of methamphetamine and drug paraphernalia that is used in manufacturing or delivering narcotics. Both were arrested and charged with manufacturing or delivering a controlled substance of more than one gram but less than four grams. Both were later transferred to the Lamar County Jail. Paris Police responded to a burglary of a residence in the 1100-block of Mockingbird Tuesday afternoon at 5:52. An off-duty Lamar County Sheriff’s Deputy observed a vehicle at the home that he knew did not belong there. The Deputy saw two people exit the residence and enter the car and leave. The deputy followed and had the vehicle stopped by an on-duty deputy. The two were observed throwing property out and later recovered the property and found that it had been taken from the residence. The investigation continues. Officers observed a vehicle sitting in a yard in the 300-block of W. Washington St. at 8:23 Tuesday evening. As the officer attempted to make contact with the driver, the vehicle sped away. The driver ran over a tree, drove through a chain-link fence and then crashed into another residence. 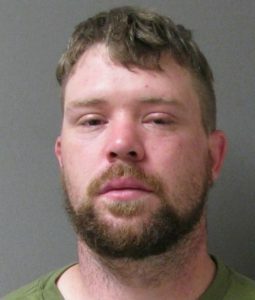 He is identified as James Dustin Foster, 27, of Paris, and arrested and charged with driving while intoxicated. He was also in possession of synthetic marijuana. The officer billed Foster with a felony criminal mischief for the damages caused during the incident. Foster was transferred to the Lamar County Jail. Paris Police responded to 97 calls for service and arrested eight people on Tuesday (Apr 2).